Understand the guidelines for accepting subpoenas. 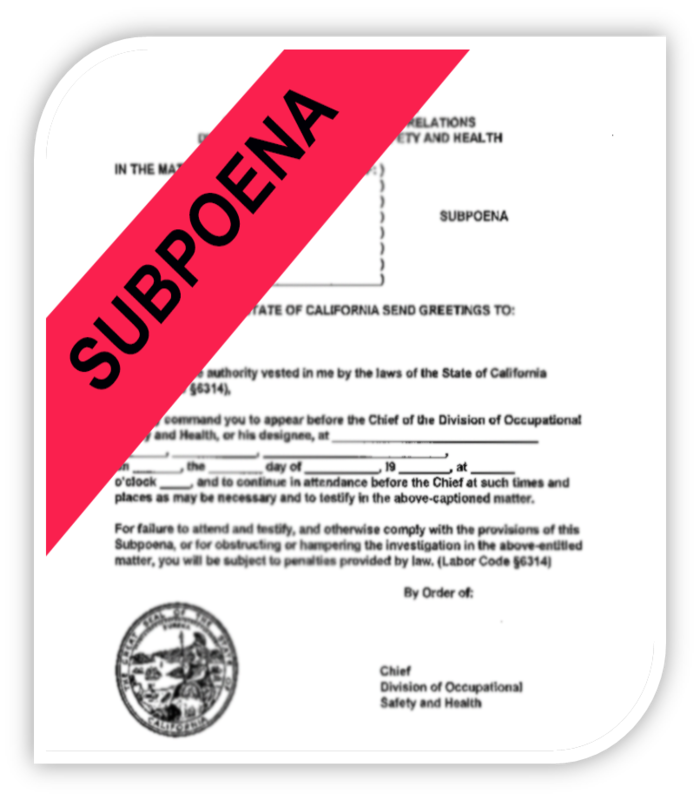 Subpoenas are legal documents that: 1) command attendance at a deposition, trial, or other legal proceeding; 2) the production of records; 3) or both. Generally, subpoenas must be personally served. If you have received a subpoena by mail or have inadvertently accepted service of a subpoena, you should notify Risk Management immediately of the existence of the subpoena and discuss the subpoena with Risk Management before responding in any way, even if no documents responsive to a subpoena for records exist or the person named in the subpoena is not available to testify. Risk Management will promptly delegate responsibility for responding to subpoenas where appropriate and/or will coordinate responses. UC San Diego must respond to subpoenas within certain legally-prescribed deadlines, so your immediate contact of Risk Management as described herein is imperative. When should you accept service? Generally, the only time you should accept service of a subpoena is where it names you personally and does not involve University related business. 2. Subpoena for Records — Only Risk Management may accept service of a subpoena for records that involves UC San Diego business (e.g., personnel records, payroll records, department emails, workers’ compensation records, IP information, donor information, student records, etc.) If a process server appears at your office with a subpoena for a custodian of records or a named person in your department, you may not accept the subpoena, but instead, direct the process server to contact Risk Management at (858) 534-2454. If you receive the subpoena by mail, enter the date and time of receipt on the copy received and immediately email it to Risk Management (EHSsubpoena@ucsd.edu or bbesser@ucsd.edu) for instructions regarding its disposition. What about other types of legal documents and requests? The above guidelines focus on subpoenas requesting certain UC San Diego business documents and/or deposition testimony. Requests for Public Records Requests fall outside of these guidelines. For a discussion of the other types of records requests and the departments responsible for responding to them, please see PPM 470-1. You may also contact Bryce Besser at bbesser@ucsd.edu with any questions, or to determine which department a request should be sent to. Questions or need advice? Please contact Bryce Besser at bbesser@ucsd.edu or (858) 246-1857.